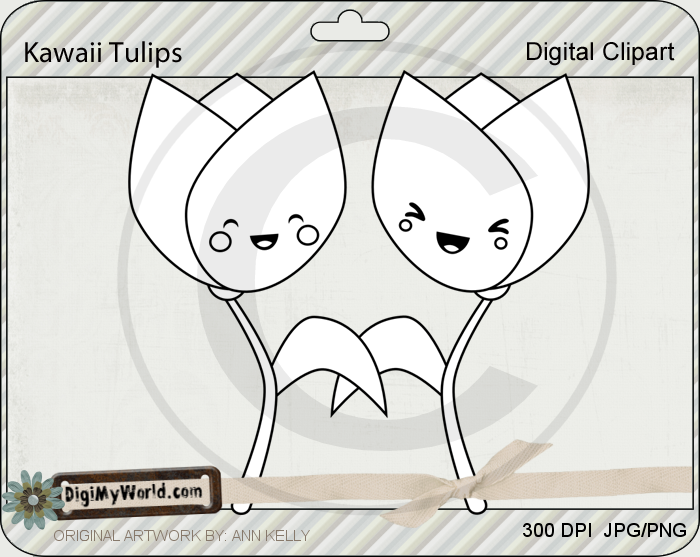 Digi My World's February Release. And Now Here is our Random Winner! 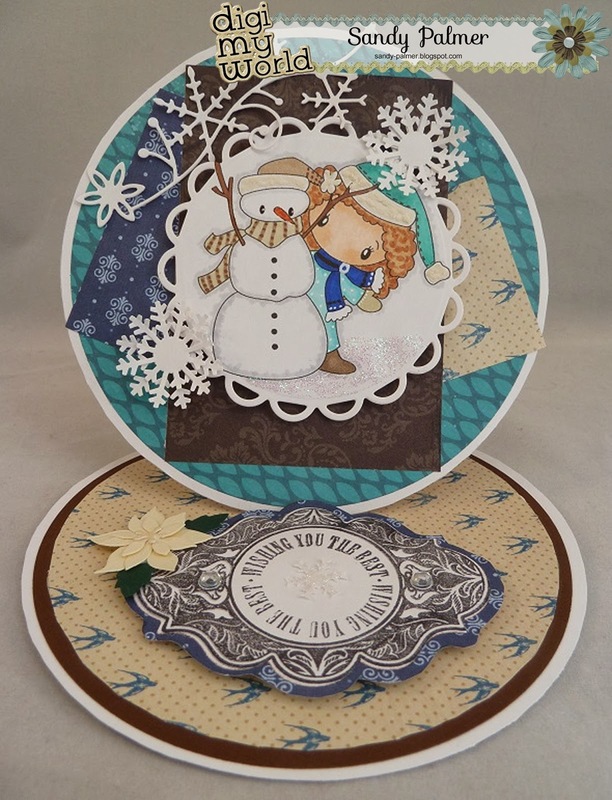 Congratulations to Debbie Rodgerson from Deb's Paper Palooza! Debbie, please contact sales@digimyworld.com and let us know which set you would like to add to your collection. and get the latest news from Digi My World. 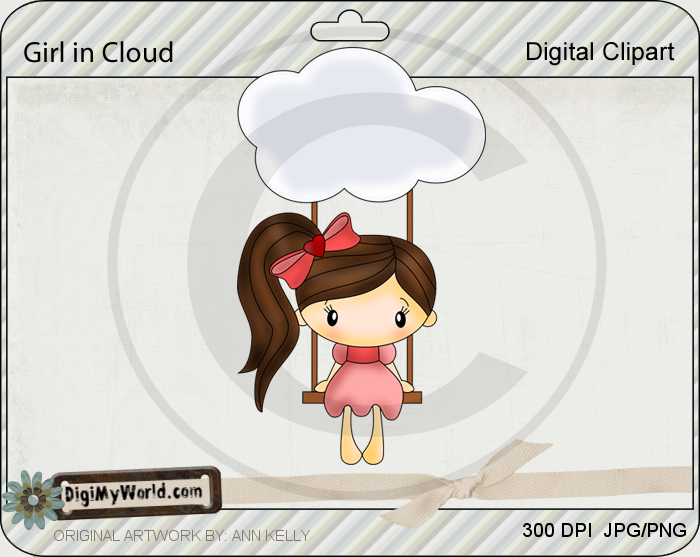 Hey everyone....it's Barb from BugBites with a cute card made possible by Digi My World. 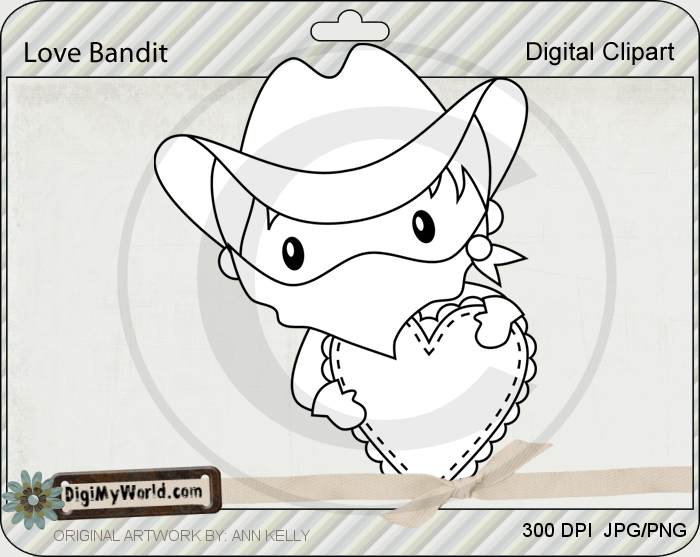 I made this cute love bandit Valentines day ca'rd using a fun new image in the store, this adorable Love Bandit digi. I colored it using the Silhouette software and then cut it out. I added some foam tape to pop him up on my wanted poster background. I love the wanted poster look. You can find this image along with many others for Valentine's day here. 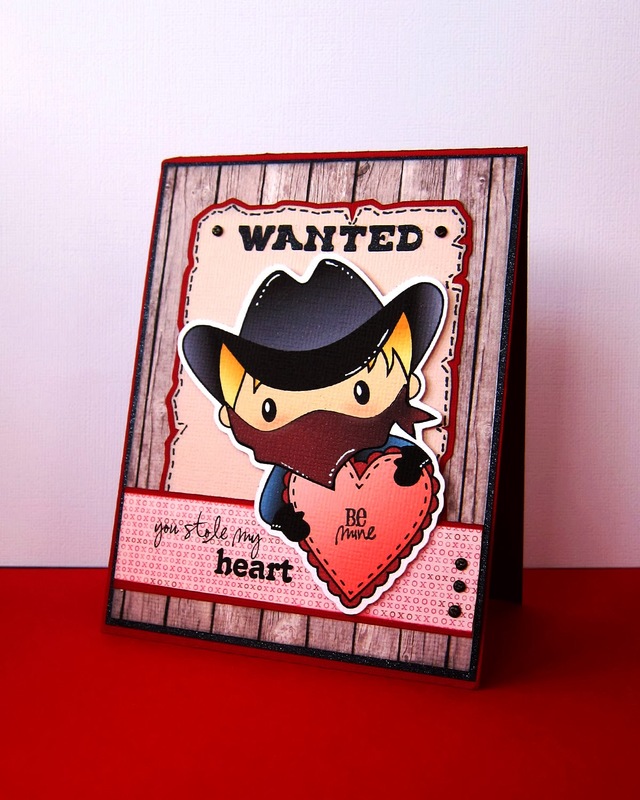 Larelyn here to share some cards using images from two of our newest sets, Ninja Valentines and Kawaii Tulips. Both can be found HERE. I've been wanting to try a sunburst background - they seem to be all the rage on Facebook. Anyway, I gave them a try and they were really fun to make and what a fabulous way to use up your scraps!!! Hi everyone! 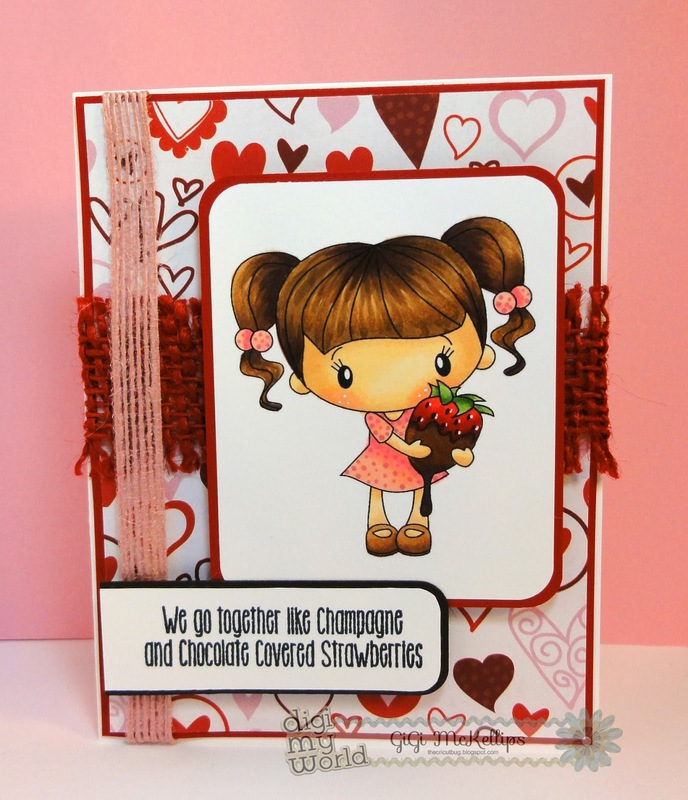 Melissa here with a Valentine's Project for you today. 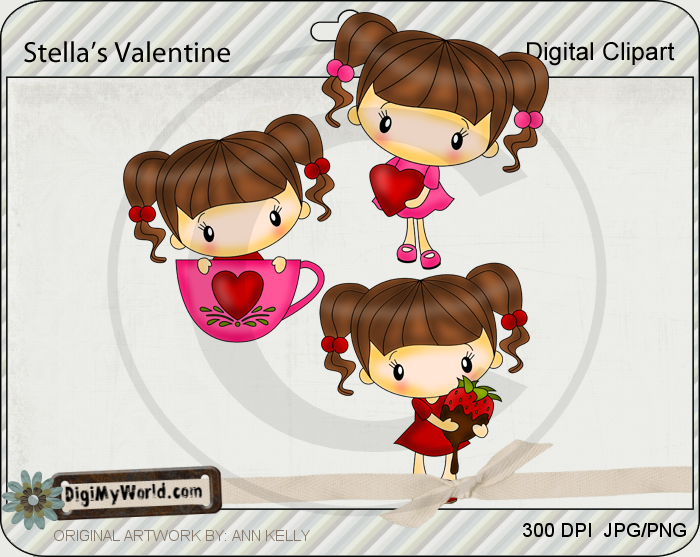 I am loving all the new files for Valentine's Day at Digi My World. 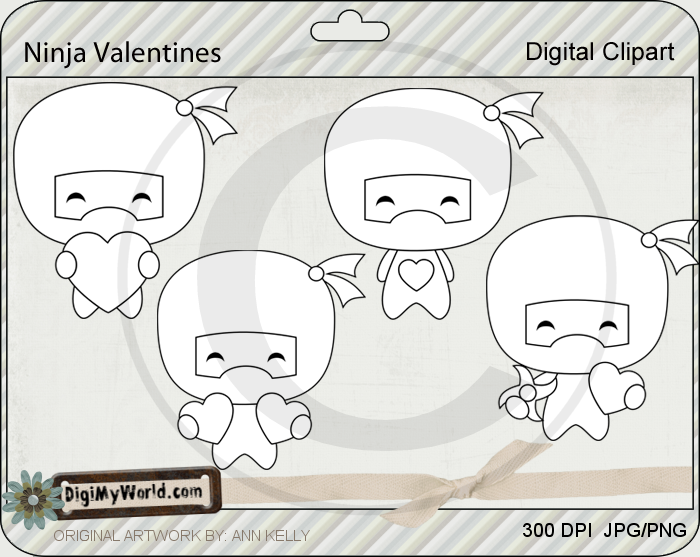 I picked one of the Ninja Valentines to decorate this treat box. The set has four different poses and I picked the one with the ninja star and heart. After I finished coloring, I thought these would look sweet with non-traditional colored suits too. Sentiment Jaded Blossom Vampires & Zombies Oh My! Hi everyone! I made up some super fast and easy projects last week and finally have time to share them! As many of you know, I just LOVE kawaii! Its seriously my favorite style of art...and I tend to incorporate it in as much as I can! 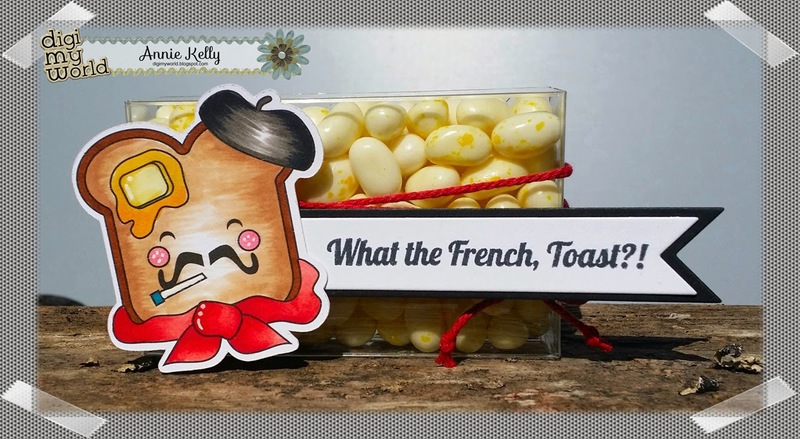 I added some Butter Popcorn Jelly Belly Jelly Beans into the Jaded Blossom boxes... tied on some Cherry Red twine...and stamps the perfect sentiment from JB's Kawaii Sentiment set. I added it to their awesome Flag Die to get some color contrast! Hi everyone, it's me Annie, with another super cute and easy project to make! 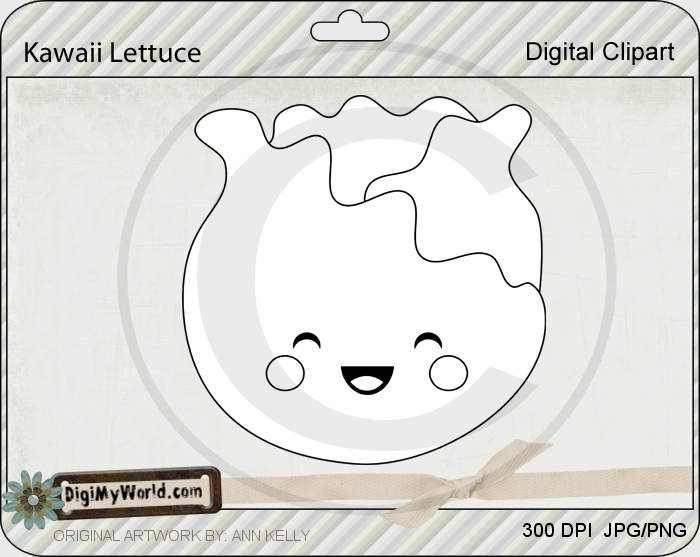 The Kawaii Lettuce and Kawaii Radishing digital stamps were used this go around. They are such simple images, and tons of fun to color! I used the Kawaii Lettuce and Kawaii Radishing files.... colored with my Copic markers, of course! 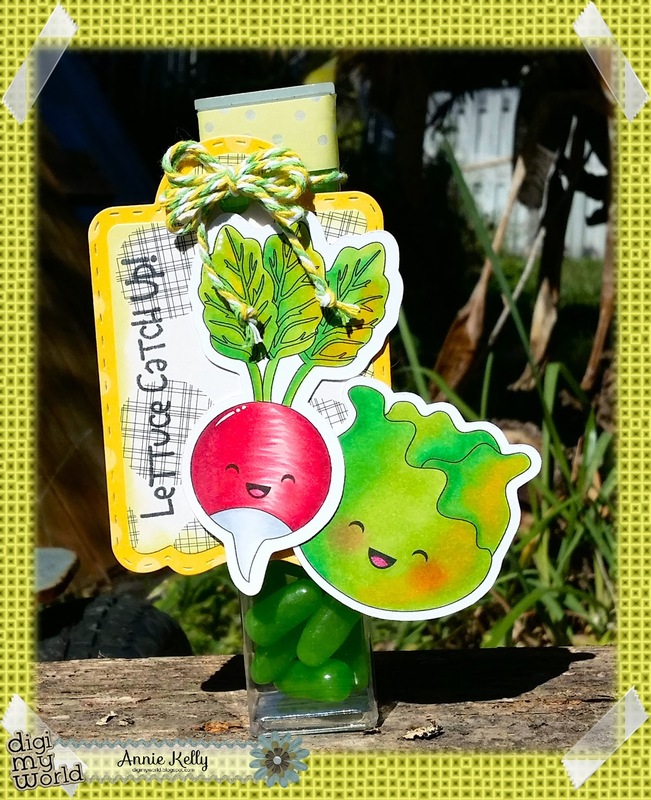 I attached them to a Jaded Blossom Treat Tag, stamped the adorable LETTUCE CATCH UP! sentiment from Kawaii Sentiments....and attached it to a rectangle tube filled with lime green Mike and Ike candies! I added some Maya Road Twine and some polka dot washi tape to jazz it up a little bit more! Hi everyone! Annie here to show you a super quick and easy treat I made for Valentines Day! 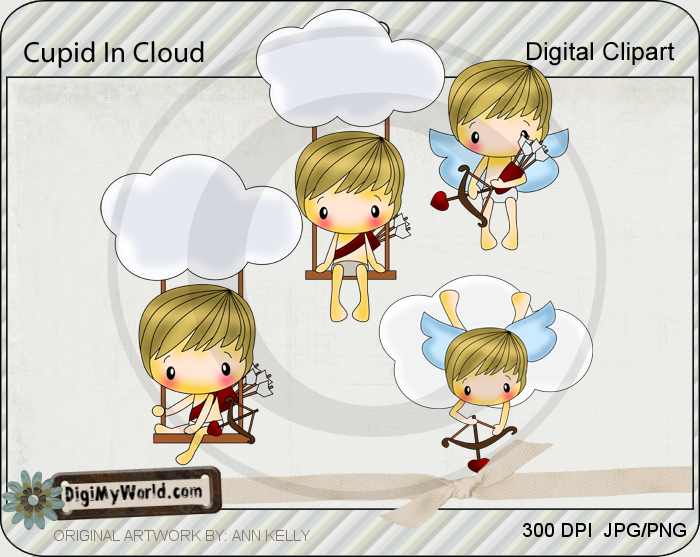 I used the new Cupid In Cloud Digital Stamp and colored him with my copics. The set comes with quite a few adorable images, I choose the one of the boy laying on his tummy looking down from the clouds! I added my image to a treat bag filled with Hershey Kisses! 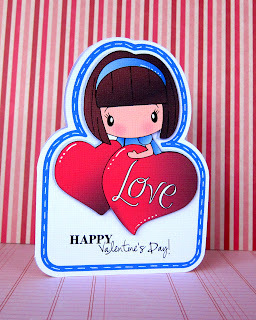 I used the Fancy topper Die from Jaded Blossom and their Scallop Heart from Valentines Die to put my sentiment on. I used a cute one from Sprinkled with Love. The kisses are lots of fun too, because I used the Conversation Candies to put on the bottom. Isn't this cute? Fast and easy treat bag to hand out to the kids classes this year! Oh and I tied some wonderful Pink twine on too... I got it from Pick Your Plum..its got 2 shades of pink and white twisted.....its really THICK twine, I LOVE IT! I hope you enjoyed all the projects the DT created this week! All the new releases are available RIGHT now for you to grab..here there are for you to see! Also make sure to comment & Follow on all the posts here at DMW this week for a chance to win one of these super cute Digital Stamp sets! Hi, it's Sandy here, from A Little Piece Of Heaven! 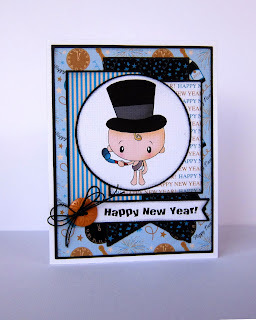 Today I would like to share with you another image from the new January release! This is Stella Valentine! Isn't she a cutie!!! These images are just so fun, and so very easy to color! Perfect for Valentine's, and yet I can see this image very useful throughout the year! I wanted to change things up a bit and decided to emboss the background for a different look! 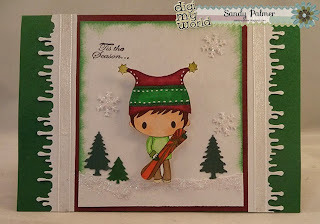 I used Tim Holtz Fired Brick on the white card stock to give it a splash of color! Hello everyone! This is GiGi from The Cricut Bug and I have a super cute card to share. 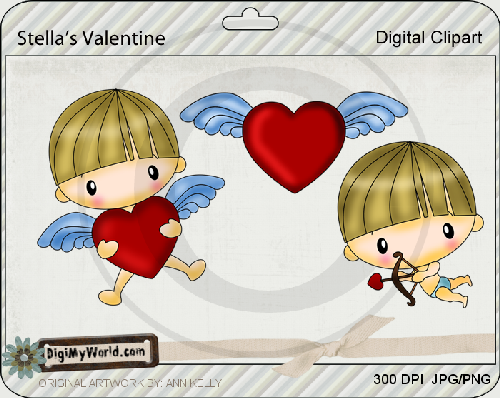 I used the NEW Stella's Valentine Digital Stamp set for that sweet girl. I printed the girl and colored her with Copic Markers. I added some Burlap Ribbons by crossing them over each other. I stamped the sentiment using the Jaded Blossom Sprinkled With Love stamp set onto the Candy Wrap Die. I hand cut around the stitching line on the white and trimmed off the side to go to the edge of the card. To finish, I mounted the image and sentiment mats on pop dots. I hope you all liked my card and thanks for visiting! Be sure to come back tomorrow for another sneak peek and check out the Facebook Party HERE for more fun! Also make sure to comment on all the posts here at DMW this week for a chance to win one of these super cute Digital Stamp sets! Why Hello my Crafty Friends. 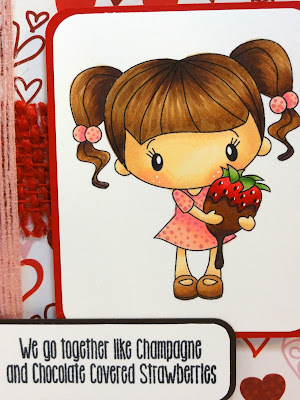 It's Kate here from Kate's Creative Corner and Welcome to Team B's "Love is in the Air" January Release. 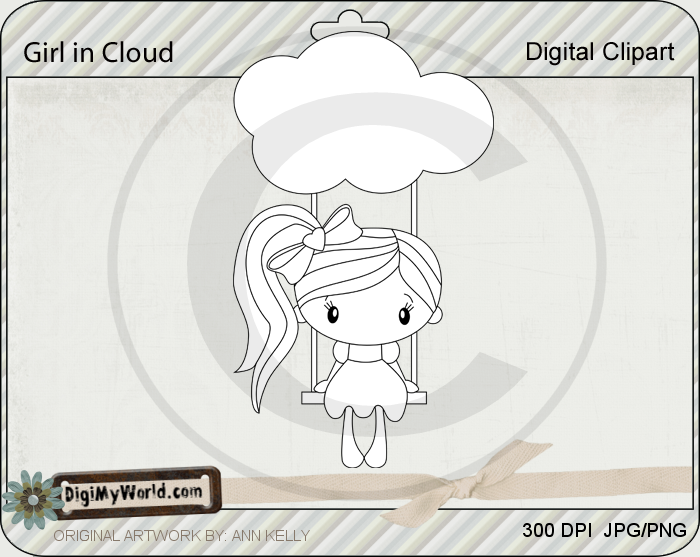 Today is used the Brand New Girl in the Cloud image. Isn't she the cutest thing. I also did some stitching using my Sewing Machine. The heart doily I got at Michaels. For my sentiment I used Jaded Blossom's Candy Charms and Banner Die and Valentine's Candies. Hope ya'll like my card. Be sure to come back the rest of the week for more releases and amazing creations from the rest of the Design Team. Hey, It's Barb from BugBites and I am here with a peek at another digital image being released this week. Oh my, you are going to LOVE this release. So stinkin' cute and in time to start those Valentine cards. I did a shaped card using an image from the Puppy Love set. 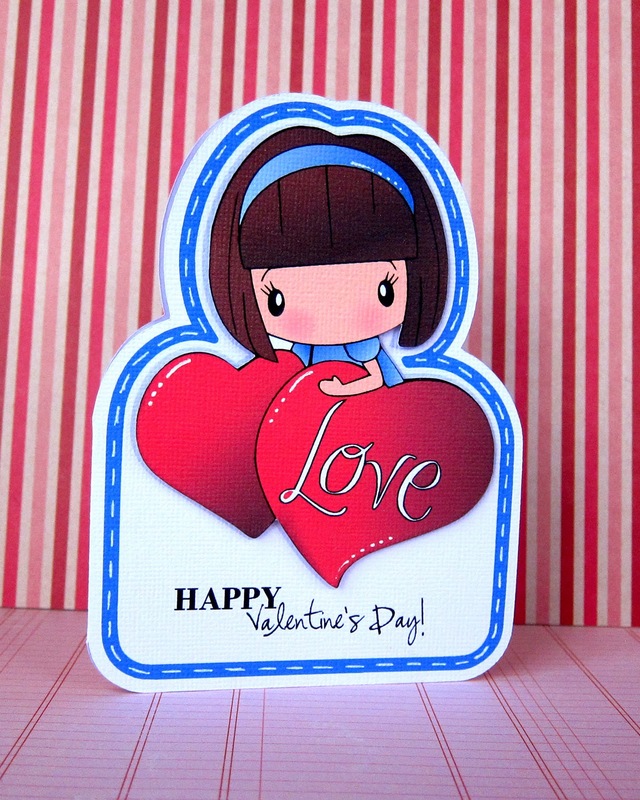 The Silhouette software makes it easy to do a quick little shaped card. I'm thinkin' if you have kiddos and need 30+ valentine cards for school, this is the way to go. 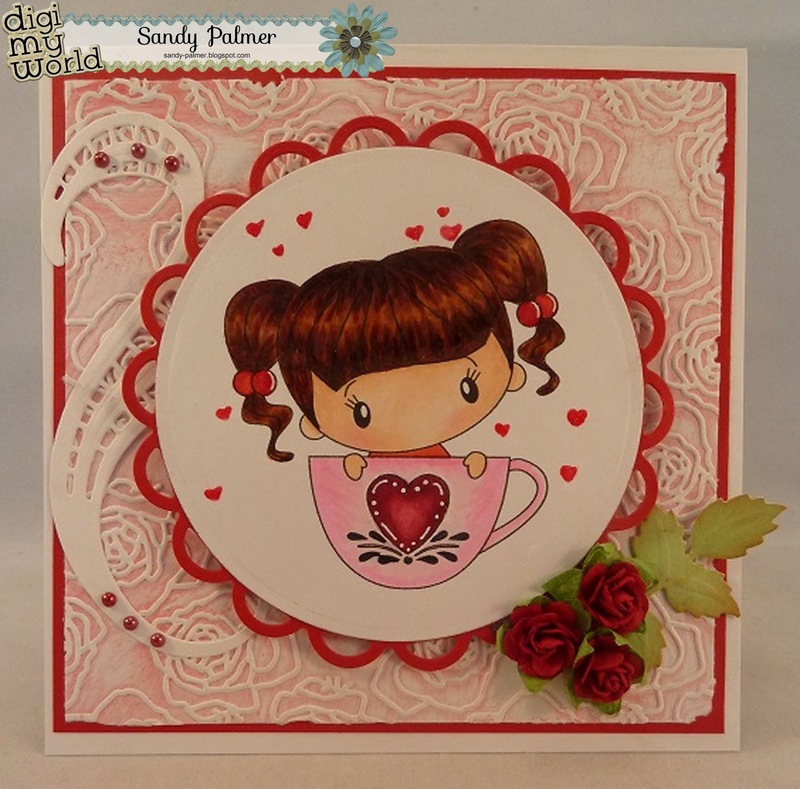 It's Larelyn and I'd like to welcome you to another day of projects using images from our new January Valentine release. I've selected images from the Lil Cupid Boy and Lil Cupid Girl sets. Each image, colored with Copic markers, is so sweet. I've also used 3 different "nugget" treat boxes from SVG Cutting Files. Won't these be fun to give or receive? 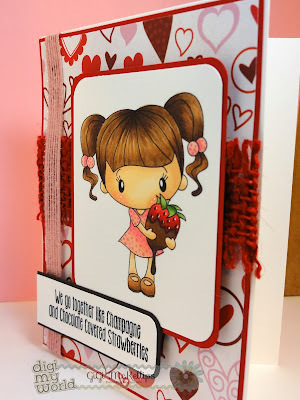 And here's the Lil Cupid Boy on the Vertical Nugget Card again using a Jaded Blossom Mini Tag die and a stamp from the JB Valentine Bingo set. Here's another image from the Lil Cupid Girl set sitting on a Nugget Matchbox base with another JB Valentine Bingo stamp. I used Jaded Blossom Candy Wrap dies to wrap each nugget. Join us again tomorrow for another fabulous project using our January release. Don't forget to leave a comment each day for a chance to win the entire release. Hi everyone! Melissa here with a Valentine Card. 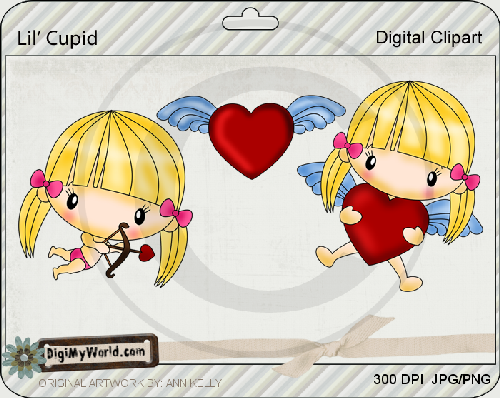 I used one of the new sets from the January Release called Lil Cupid Girl. She is so adorable! I printed her and then used my Silhouette Cameo with the Designer's Edition Software to cut her out. She is colored with Copic Markers. Card Base from SVG Cutting Files, Scallop Wave Fold Over Base. Sentiment and Flag Dies, Jaded Blossom, Valentine Wraps, Flag Dies. Join Digi My World tomorrow, we will have more projects made with the January Release. January Release Week (Team A).... Valentines goodies!! 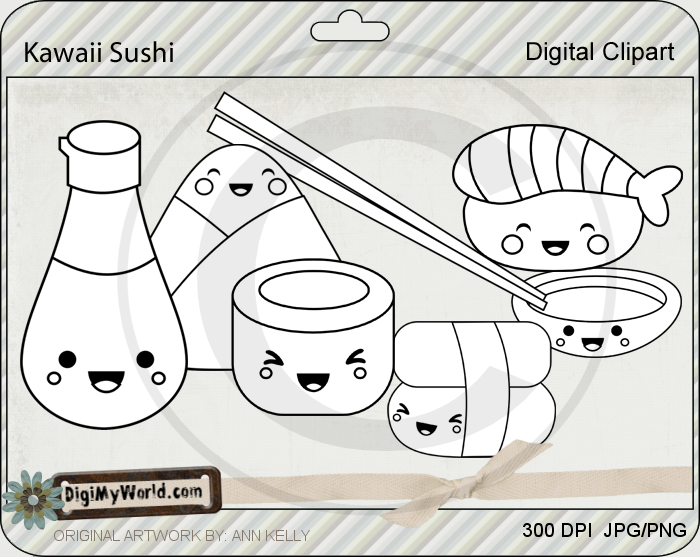 Hi everyone and welcome to the January Release week for Digi My World! Today we are releasing lots of great new image for you to get your Valentines Groove on! 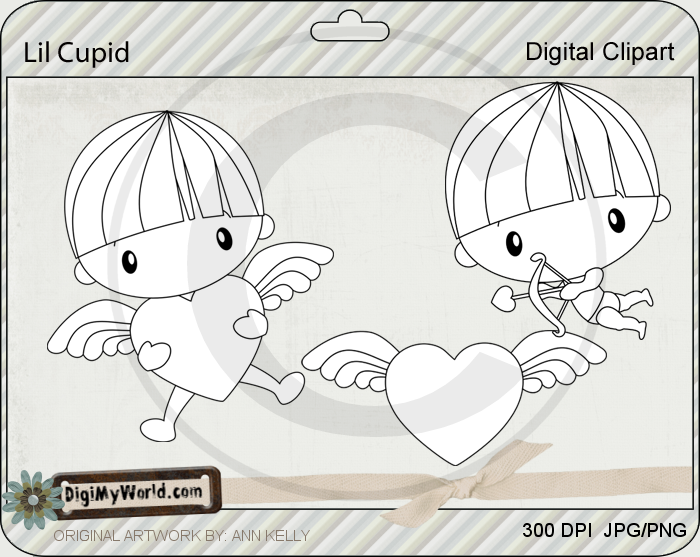 For My Project today, I used Lil Cupid Boy! Mini Nugget Platfrom Base from SVG Cutting Files. This holder makes treat giving so simple and fast..it holds 2 Hershey Nuggets PERFECTLY! I then added some yummy Pink Sorbet and Caribbean Twine from The Twinery. Hi, it's Sandy here from A Little Piece Of Heaven. Since this is my first post being part of the DT, I thought I would share 3 winter cards that I have made with you. 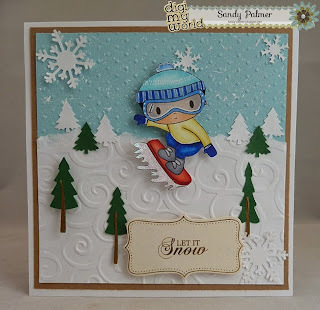 On the first card, I used Winter Kids 2 set. It comes in a set of 6. Here is the Winter Time Kids, it comes as a set of 4. It has more of a Christmas feel to it with the colors I used. Hugs, and happy crafting to you! Happy New Year! It's Barb from BugBites here with a fun New Years card to share with you. 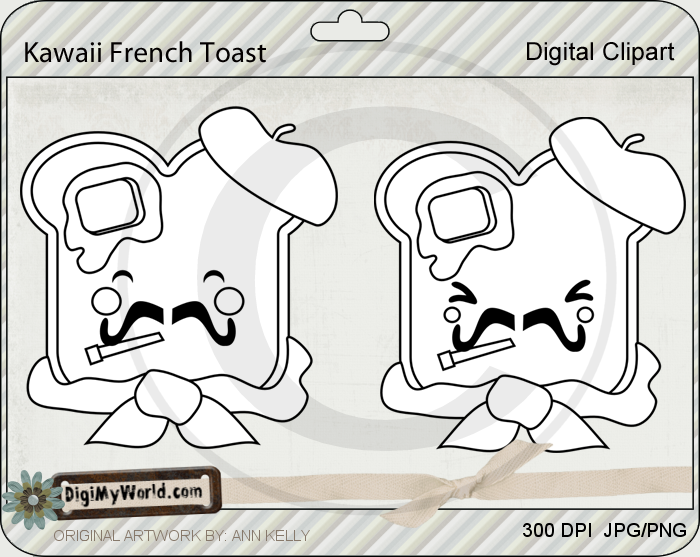 I used an adorable clip art image from the DMW store that an be found here. He comes pre-colored or black & white should you wish to color him yourself. Yes, I know the image says 2012 on it, but you can easily adjust to remove those numbers. For this card, I used the pre-colored image. I simply printed and then cut the image into a circle. From there I matted the circle along with the other strips of themed papers. I printed the sentiment myself and then added a button with a bow to top off this New Year card. Here's wishing you all a crafty 2014! !